Once you install "ThirdWheel" mobile application in your mobile phone, on the right corner of homescreen you can find call option. Along with phone call, users of "ThirdWheel" app now can have conversation through Viber or WhatsApp as well which makes communication even better. App Users can easily reach to thirdwheel help center by a single click on Viber or WhatsApp option whichever they feel comfortable. Invoice generation feature lets customers to have information about their bill dues and additional extra charges while they are getting their bikes repaired at "ThirdWheel" service center. The ability to know about the pay beforehand takes customer convenience one step ahead. They can as well save invoice for future reference. Whenever they wish or they need, customers can now set schedule time for servicing their two-wheelers. This helps cut customer frustration that undoubtedly arise from long waits to get a service and gives them the opportunity to perfectly plan their routine. ThirdWheel offers pickup and delivery of bike on certain minimal charge once the customer requests for servicing. The pickup and delivery service has now been made optional. Customers can choose pickup and delivery service or they can also direct visit us. ThirdWheel before used to include service costs and VAT differently which might create confusions about service costs. But now ThirdWheel has included VAT itself in service charge. Customers are expected to be clearer now regarding charge and VAT. ThirdWheel sends you notifications time to time regarding your bike servicing date, bike servicing status or others. These all notification details don’t go away once you see them and can be viewed even after many days. This helps customers to get record of all notifications sent to them. To make users queries clearer, ThirdWheel has added some Frequently Asked Questions (FAQs) on mobile application. Additionally, few videos on how to use app, how to make requests, how to take annual subscription etc. are also made available on app. Users can go through FAQs and videos to be more familiar with the app and it is expected to help users a lot. While making registration of bike or scooter model in ThirdWheel application the process is very simple, you just have to provide color and bike or scooter number to register your bike or scooter with us. Also we avail state wise number plate style in our new update. Taking customers support as a motivation, ThirdWheel has come up with additional service of bike accessories for users. It is trying to make ease for customers by making all necessary accessories like helmets, gloves, glasses, masks etc. available at one single spot i.e. at ‘ThirdWheel" app due to which they won’t have to visit one shop for helmet and another one for mask or so on. Original picture of product (category wise) along with wish list option and product’s price is made available in ThirdWheel. If any of our customers had registered more than one two-wheeler in our application, they had to click on each bike model in order to have information regarding that particular bike model. Now for customers ease, we have made option of "Default Bike" available. Customers can choose any of their bikes (may be more preferable) as default bike and can get information regarding that particular bike model at first sight even if they had registered it in second number. Thus, the above added features in ThirdWheel app are expected to increase customer satisfaction and customer retention. 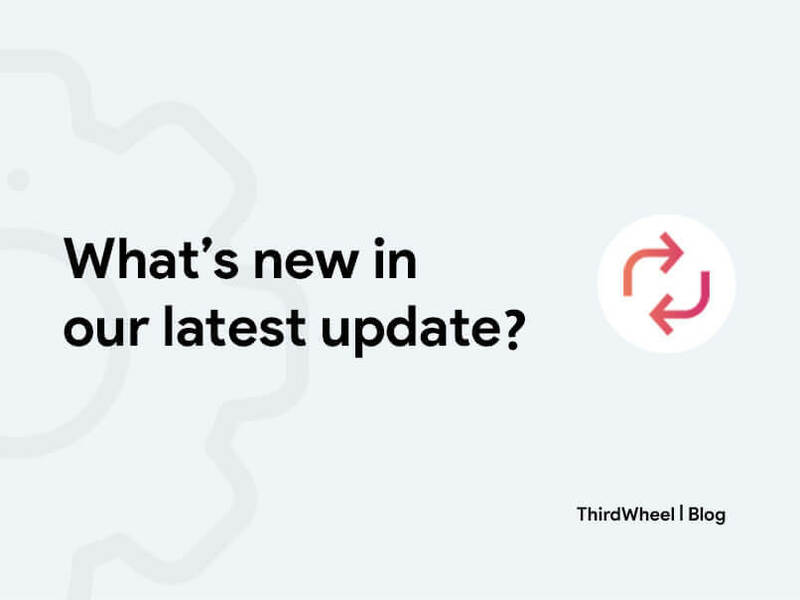 ThirdWheel is trying to be more users –friendly and updating its features time to time. Install "ThirdWheel" App and make your bike or scooter servicing easier with ThirdWheel. Be smart and Go online! !